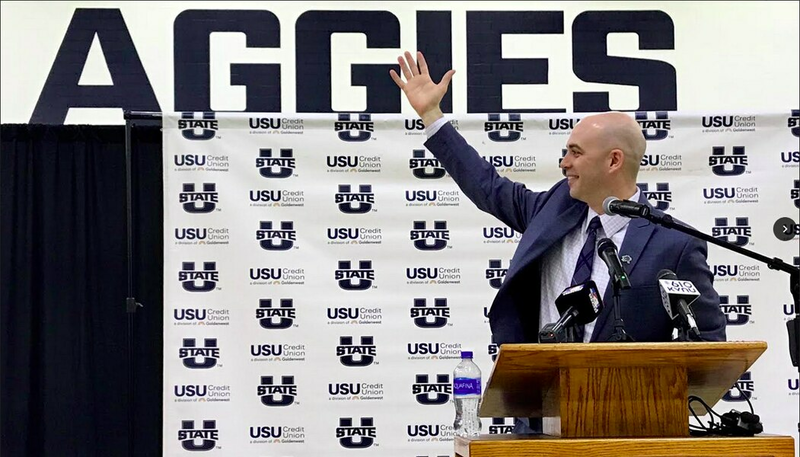 Utah State is looking to revive its men’s basketball program, and university officials have reached deeper into their coffers to do it. The Aggies’ new coach, Craig Smith, is set to make $3.5 million over the course of his five-year contract, according to the offer sheet he signed last month. Smith’s salary will start at $650,000, increasing annually by $25,000 until it reaches $750,000 during the fifth year of the deal. That is a substantial increase over the $379,000 USU was paying Tim Duryea before the coach was fired last month. Duryea still had one year left on his contract, which the university will have to honor. Smith’s deal includes a $565,000 salary pool for his staff. USU allocated $323,881 for its three assistant coaches this season. The university also has agreed to pay up to $206,250 for a buyout of Smith’s contract with the University of South Dakota, where he had coached for the past four years. Smith’s offer sheet does not detail the incentive-based bonuses he could receive.